RUKUNGIRI – Following the Rukungiri events on Monday where Police and angry residents were engaged in running battles for over six hours as the former attempted to block the latter from holding a thanksgiving at Rukungiri stadium, in Mbarara police besieged the home and hotel of FDC’s chairman for western Uganda Stanley Katembeya in search for Party president Patrick Amuriat and Buhweju Mp Francis Mwijukye. On Tuesday there was much tension in Mbarara town due to much presence of both plain and uniformed police officers who were seen patrolling the town. Police went ahead and deployed at Booma grounds where the purported rally was slated to take place. Samson Kasasira the Rwizi region police mouthpiece said that they got information that members of FDC had organized to have a rally which was stopped by police saying they did not fulfil the guidelines. 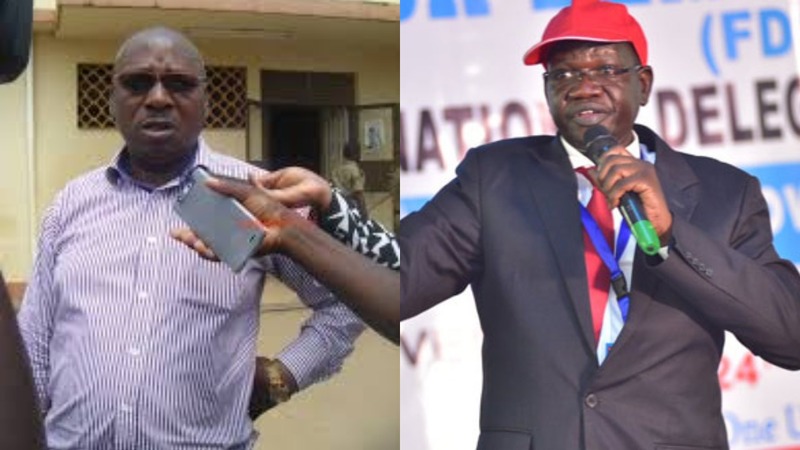 “What you are seeing is preventive measures because we could not allow these people to take chance of us and destabilize the town, this rally they intended to hold was stopped but we got information that Patrick Amuriat and Mwijukye had mobilized to insist and have the rally, so we had to deploy heavily,” Kasasira confirmed. He maintains that they got information that Amuriat and Mwijukye were housed at Grand holiday hotel owned by Katembeya which forced them to deploy until when they get out and be subjected to police interrogations. “We got information that these people slept there and unless they refuse to corporate with us we shall keep our presence at the hotel and all their meetings were cancelled until further notice and we informed them in time. In a letter dated November 16, 2018 signed by Asuman Mugenyi which states, “your attention is drawn from section 5 of the Public Order Management Act(POMA) that clearly provides for the requirement of notice of public meeting that is regulated under POMA, Regretfully the notice you have given does not provide sufficient particulars to enable Uganda police to regulate the meeting, It will, therefore, be not possible to hold that public meeting on the proposed on the date and venue proposed,” the letter directs. Katembeya while speaking to journalists in the afternoon at his Grand holiday hotel where the police was heavily deployed expressed his dismay on how his hotel business had been affected by much presence of police which he claims scared away his clients. Katembeya further noted that his business has been frustrated because many clients were scared away from checking in for accommodation. Katembeya insists that if they keep their presence he is to seek redress in courts of law against the actions of police.